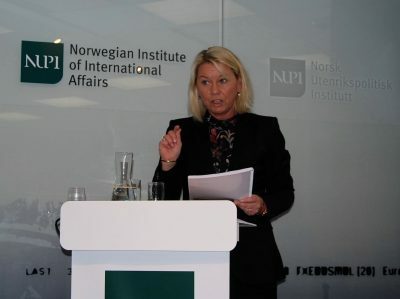 Norway’s powerful farmers’ lobby was out in force this week when the Norwegian Institute of International Affairs (NUPI) presented its analysis of how a Transatlantic Trade and Investment Partnership (TTIP) could affect the country. Norway’s anti-EU lobby was also quick to pounce on how further trade liberalization could boost economic growth and provide gains for most all other industries except agriculture, because that would come at the expense of farm subsidies and tariff protection. 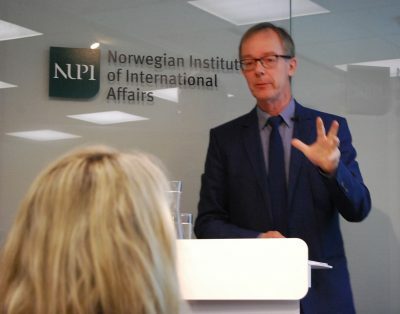 “They (the farmers’ lobby) are certainly very vocal,” noted Arne Melchior, senior research fellow at NUPI who headed the group that produced the report on TTIP’s consequences for Norway at the request of the Norwegian government. Melchior formally presented a copy of the report on Wednesday to Trade Minister Monica Mæland, who promised to read it. Both Melchior and Mæland seemed prepared for the immediate protests and critical questions from groups including The Norwegian Farmers’ Union (Bondelaget) and Nei til EU. “They are professional lobbyists and fight for their interests,” Melchior said during a break in the proceedings at NUPI’s offices in Oslo. His independent research team, he claimed, was merely keen on raising the issues at stake and examining various scenarios for how Norway could participate in a TTIP, or stay out of it. Since Norway is not a member of the EU, it’s been unable to participate in the negotiations over what would amount to a new trade deal between the EU and the US. The talks were supposed to be concluded this year but disagreements, protests and great uncertainty over the outcome of Brexit and the US elections led to what Melchior called a “pause” in the process. While some say TTIP is “dead,” others think it will be revived and that talks will start up again in 2017 or 2018. Then it would take at least two years to be ratified, so no new trade pact could be in place before 2020 at the earliest. “It will take time,” Melchior told newsinenglish.no, but he stresses that a new trade partnership between the US and EU “has great relevance for a lot of industries,” not just the farming and fishing industries that tend to get all the attention in trade talks involving Norway. “Our main message is to get others on board,” Melchior said, because so many other sectors will be affected. More liberal trade between Norway’s own biggest market for exports (the EU) and its greatest ally (the US) will affect market access, regulatory cooperation and law, along with Norway’s existing trade deal with the EU known as the EØS/EEA agreement. The report on TTIP was compiled by researchers from NUPI, the Ifo Institute for Economic Research at the University of Munich, the Norwegian Institute of Bioeconomy Research (NIBIO), Menon Economics and the Law Faculty at the University of Oslo. Its overall conclusion was that Norway’s economy could grow by up to another 1 percent if Norway attaches itself to TTIP. Norway’s service industry would be the biggest winner and agriculture the biggest loser, since tariff protection that blocks imports of cheaper food products would be cut. A majority of businesses would benefit from more liberal trade. The closer the adherence to a TTIP the better, in terms of overall economic growth, but staying out entirely wouldn’t be disastrous because Norway would still gain from more trade between the EU and the US. If the EU’s economy grows, that’s good for Norway, which would still enjoy the ripple effects. As Melchior put it, there would be no big overall loss to Norway by staying outside TTIP, but there could be big gains by being part of TTIP. There will surely be debate, with various farming organizations questioning how data was collected, how they might be compensated for lost business and whether values were assigned to such things as food security or the beauty of a cultural rural landscape that may disappear along with farm land. The anti-EU organization called the NUPI-led report “one-sided” and charged that the researchers “chose to overlook potential weakening of demands for health, the environment and security.” The group claimed it welcomed all knowledge about the consequences of a TTIP agreement, but accused the researchers behind the report of only focusing on one effect, economic growth. It alone was too small, Nei til EU claimed, to compensate for losses in the agriculture sector. For English summaries of TTIP’s consequences for Norway, click here (external link to NUPI’s website). Asked what will happen with the NUPI-led report now, Mæland said “we will of course first read it,” and then ultimately balance the potential benefits to most industrial sectors against the disadvantages for agriculture. “There will be a total evaluation,” calling the heavy lobbying of the farmers versus other sectors that aren’t so well-organized and vocal as presenting “a well-known dilemma.” Mæland said her ministry has also established contact and dialogue with those negotiating the pact for the US and the EU. “And of course we’ll stay in contact with (the) NUPI (researchers),” she told newsinenglish.no.